The EuroMillions ticket checker is an easy to use tool that allows you to check the winning numbers. 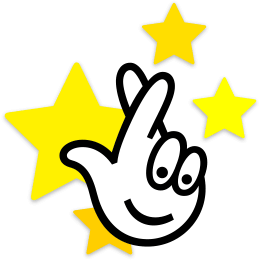 Through the EuroMillions results checker, you can even make comparisons among all the draws from National Lottery. You have the option of checking three lines at once. This tool makes it easier to check winning combinations from the last 150 draws. If you face any issue or get stuck somewhere, then you can go through the guide with detailed illustrations. You can use the checker on our website for free. Additionally, there are no limitations, and it comes up with accurate results. It is easy to use, and you need to feed the correct data to check your results. The tool displays the results in a few seconds after you press the “Check Results” button. It starts by selecting the number of lines you want to check. In this step, you need to wait until the tool processes all the officially drawn numbers along with your numbers. It takes few seconds to show all the combinations. All combinations are presented in tabular form, and this makes it easier to check whether you have won or not.